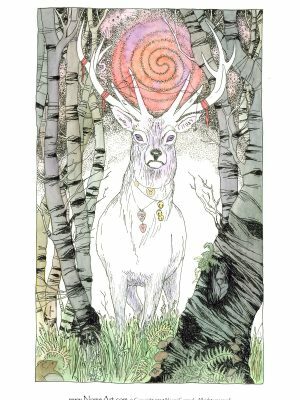 The White stag is seen in many cultures, as the spirit of nature, guardian of the forest and all that lives in it. The image of a stag with a full moon between his antlers represents both the male (the antlers) and the female (the moon) aspects of the Divine. Holding two dualities to create a whole. Which is why I invoked the double spiral. 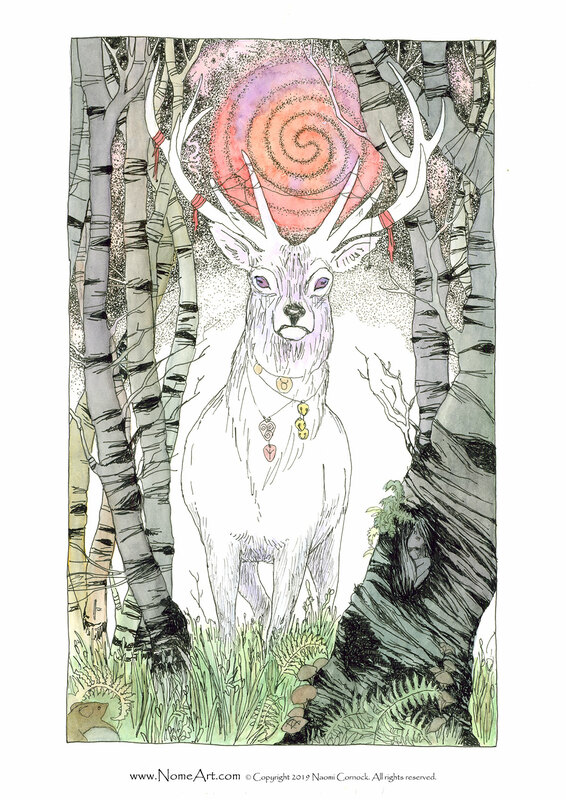 The white Stag should he appear, will provide guidance, protection and encouragement. If you are able to stand in his company then he will impart all his secrets and those of the forest. He is the heart and spirit of the land. In Olde English we find the name Hart, one of the oldest names recorded, it is also the Anglo Saxons name for deer.